The part numbers listed above are what I received as well. The cost is about $27, however, and you can call Sony Parts at 800-538-7550. I am skeptical, but would love to hear feedback if anybody gets it! Just received the email with Tel number tonight so I cant ring till the morning to see if they know much more. Anyone have a picture (from Sony) of what this thing looks like? I did get a fax, but it is of such horrible quality as to be useless to post. I can't make out any details except that it replaces the existing tripod mount plate and then adds a wedge-type plate on the back. Anybody else? Despite owning a DM plate, I just ordered the Sony modification. Will report when I receive it. 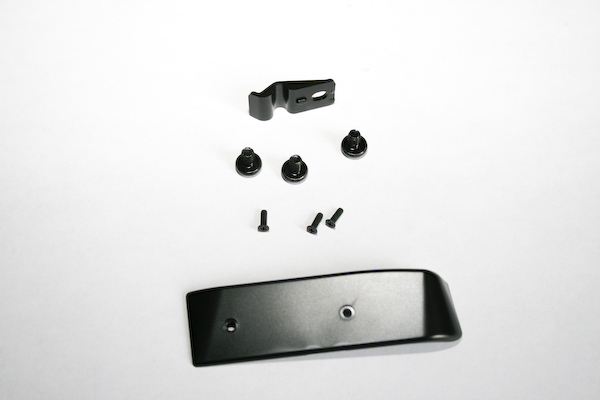 Here are a few pics of the EX3 tripod mounting receiver and the plastic piece that goes on the front of the camera base to make it flatter. The little bit of plastic at the top of the picture was included in the package that ships with the most recent EX3's and I'm assuming it's some sort of cable stay. I haven't bothered to figure out where that's supposed to go yet. Based on this photo, I won't be getting rid of my DM plate any time soon. Is it just me or is it incredible to think that Sony might not have at least one group of design team members with real world experience using cameras and related kit that would find the original base design pathetically under-engineered. The EX-3 has no more inherent strength to its base than my Canon point and shoot. Truly one of those issues that make me realize you can't fix stupid! The EX-3 has no more inherent strength to its base than my Canon point and shoot. Which is why I also have a DM plate on order. 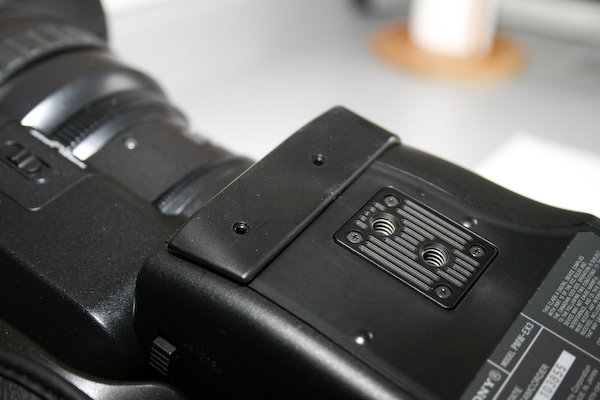 If I may ask, once the DM Accessory plate is attached to the EX3, does a standard tripod plate bolt directly to the DM plate or does it still bolt to the EX3 receiver by going through the DM plate? Hopefully the tripod plate bolts to the DM plate. Yep, Dave, this looks rubbish to me too. Thanks Don for posting the pics. My DM Plate will be staying on my EX3! In my case I attach the Chrosziel matte box base to the DM plate first, then I attach the wedge plate for my Sachtler DV 8 to base of that. Rock solid. Last edited by Dave Nystul; May 8th, 2009 at 05:06 PM. Reason: sp. In order to place an online order, you must first register on the ServicesPlus website. 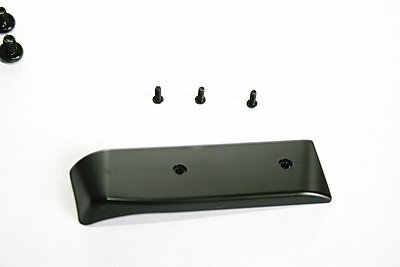 The other option is to call Sony Parts @ 1-800-538-7550. Am I right to assume we should be contacting our local Sony pro video repair/service outlets or are we all (internationally) ordering the kit from this website? It is quite side that they didn't do anything here to increase the durability of the mount. It seems that the only thing that this part accomplishes is the mitigation of the slope of the base of the camera. This is kinda funny to me, because the day that I received and unpacked my EX3, I stuck a pair of small, self-adhesive rubber feet that were about 1/8" tall on that slope so that it would connect with the tripod plate and provide better friction from side twisting. Now, getting rid of that slope is better than nothing, but the tripod mount 1/4x20 screw held in place by four eyeglass screws is still the only thing keeping your camera in place. My camera has been on a long jib all last week, hanging three stories high in the air, performing drastic pans, etc. There is NO way I would have been willing to do this with only the original mounting plate or with this adapter from Sony. I'm using the DM plate at well, and had a high level of confidence with it on this job. 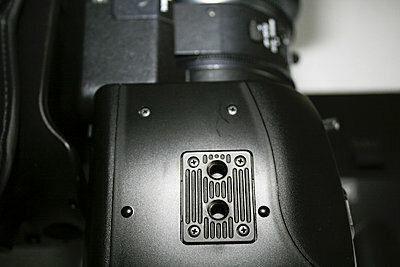 I am using Jeff's redesigned Sony Wedge plate as well to lock into a VCT plate and it performed flawlessley. 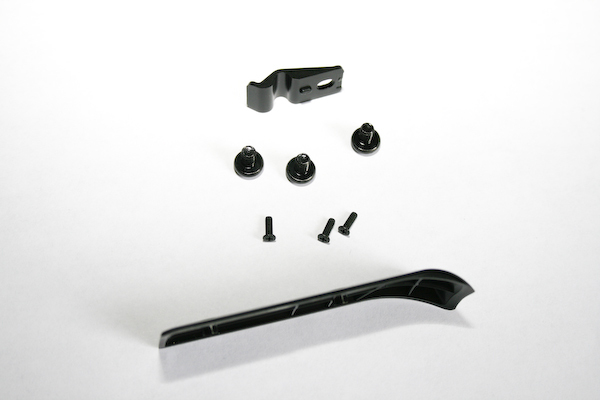 I like what Vortex did with the claw, but it only connects to the 1/4x20 screw as well as most mounts. I believe that once the DM mount is on the camera, the claw will do a nice job connecting it to the tripod. This is a guess - haven't tried it myself. When I go to that site and put in the part number...all is says: "no matches found"..